An increase in the US Federal Reserve\'s benchmark interest rate is probable \"sometime later this year\", Fed chief Janet Yellen has said. An increase in the US Federal Reserve's benchmark interest rate is probable "sometime later this year", Fed chief Janet Yellen has said. "Most of my colleagues and I anticipate that it will likely be appropriate to raise the target range for the federal funds rate sometime this year," Yellen said on Thursday, referring to the members of the Federal Open Market Committee, the central bank's policymaking body. Nine of the 10 members of the FOMC voted at their meeting last week to keep the rate below 0.25 percent, where it has been since December 2008. The FOMC said in a statement that while the US economy remained on the path of "moderate" expansion, "global economic and financial developments may restrain economic activity somewhat and are likely to put further downward pressure on inflation in the near term", in a clear reference to recent volatility in China. On Thursday, however, Yellen appeared to minimize the impact of international events on the domestic economy. "The Committee is monitoring developments abroad, but we do not currently anticipate that the effects of these recent developments on the US economy will prove to be large enough to have a significant effect on the path for policy," the Fed chair said. 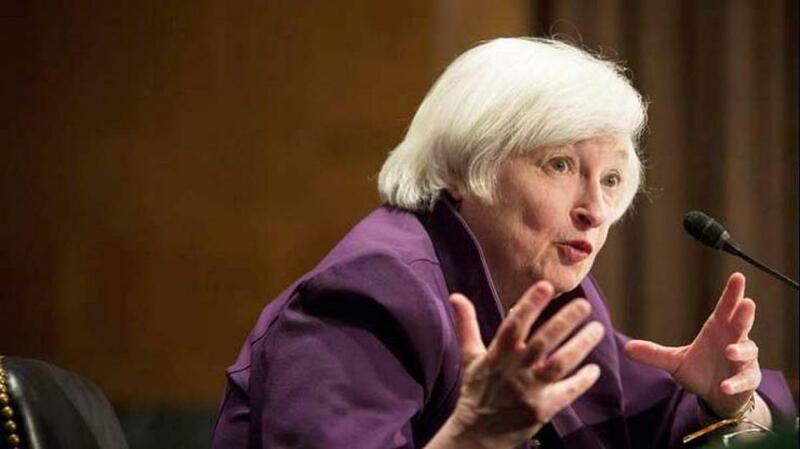 She acknowledged the argument the FOMC should wait for inflation -- currently well below one percent -- to return to two percent and for a further decline in unemployment before embarking on a cycle of interest rate hikes. "The more prudent strategy is to begin tightening in a timely fashion and at a gradual pace," Yellen said. The FOMC is scheduled to meet twice before the of the year: Oct. 27-28 and Dec. 15-16.